ho serve overlapping terms of six years. The Board of Regents for Higher Education of the State of Louisiana was created by the Constitution of 1974 with 15 members on the Board, as prescribed in the Constitution. 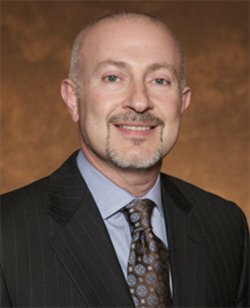 G. E. Ghali, DDS MD FACS, FRCS (Ed) was appointed October 7, 2016 by LSU President F. King Alexander as the Chancellor of LSU Health Shreveport and Dean of the School of Medicine. He has served as Professor and Chairman of the Department of Oral & Maxillofacial Surgery at the Health Sciences Center since 2004 and continues in that role. Dr. Ghali holds the Jack W. Gamble Chair in Oral & Maxillofacial Surgery and is director of the cleft and craniofacial surgery fellowship program. He is also the senior partner in WK Oral and Maxillofacial Surgery Institute. George Khoury and Donald Mack, M.D. Endowed Professorship for the St. Jude Clinic at the LSUHSC-S - Majed Jeroudi, M.D. Full-time members of the faculty have the same academic status as members of the faculty of other institutions of The LSU University Administration. Faculty primarily involved in activity outside of The LSU University are designated by the term “Adjunct”. Boyd Professorships, authorized by the LSU Board of Supervisors in 1952, are The LSU University’s highest designated professorial rank, awarded only to faculty scholar-researchers who have attained singular international recognition in their respective academic disciplines. The Professorships honor brothers who were presidents of The LSU University, David French Boyd (1865-1880) (1884-1886) and Thomas Duckett Boyd (1896-1927).